The Pediatric Spica Table comes to you assembled. At Industrial Engineering Machine LLC. 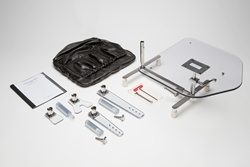 we listen to the needs of the doctors and casting technicians that use our Pediatric Spica Table. We are always trying to make our tables more user friendly. That being said, we have improved the size of the two smaller spine supports that are supplied with our tables. The main table top is now adjustable to three different positions which helps in the set up when the table is used for x-raying. 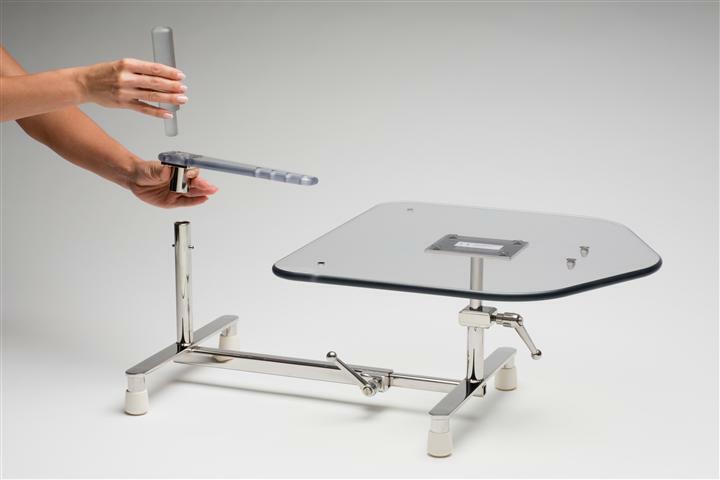 Industrial Engineering Machine LLC introduces it's latest version of their much-lauded Pediatric Spica Table, with new features and functionality, including a scratch resistant radiolucent polycarbonate tabletop, polished and satin stainless steel components, and fully adjustable modular arm supports. The structural metal components of the Pediatric Spica Table are made from 304 Stainless Steel, including the adjustment handles and fasteners. This type of stainless steel is strong, durable, and resistant to corrosion, and is also much easier to clean and maintain, resulting in greater product resilience and longevity. 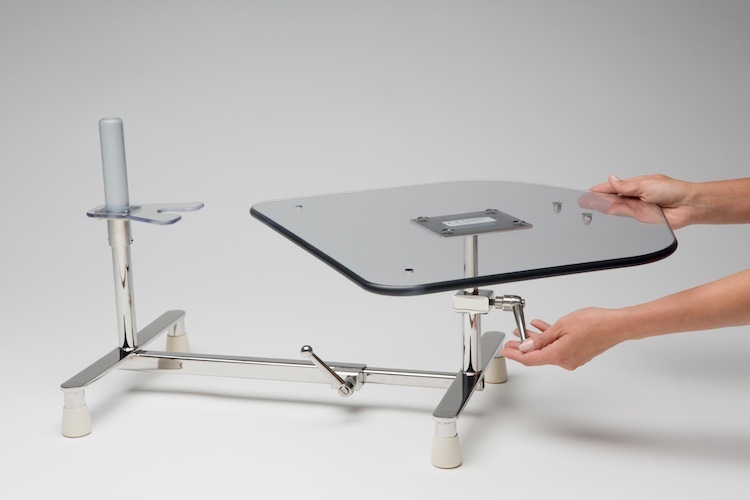 The Pediatric Spica Table now comes with fully adjustable removable arm supports that are made of the same scratch-resistant radiolucent polycarbonate material as the tabletop, spinal supports, and perineal posts. 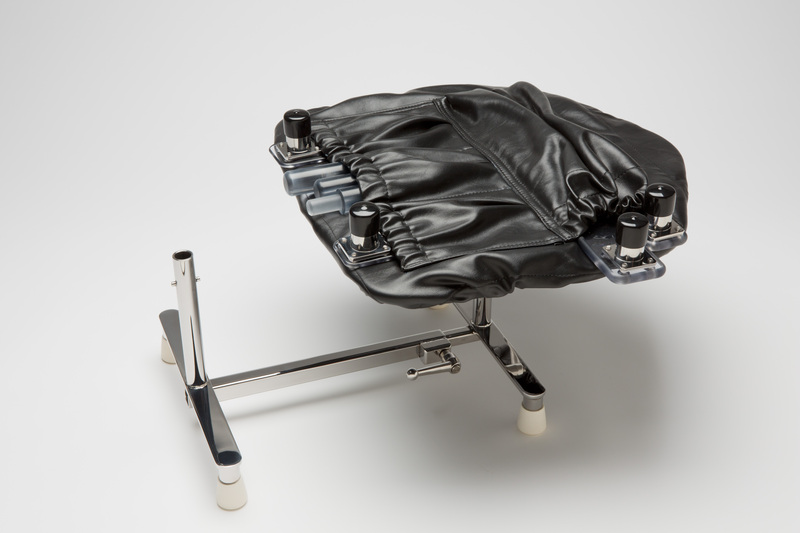 This provides casting technicians with the ability to allow the patient to rest more comfortably on the table during the casting process, without having to restrict or restrain the non-affected limbs of the patient. A more comfortable patient results in less unnecessary movement, less patient anxiety less associated trauma and a smoother overall process. The arm supports are fully modular and adjustable and can be removed and stored in the storage cover that fits neatly over the tabletop when they are not needed. In addition to the tabletop, the interchangeable spinal supports and multiple perineal posts are also made of scratch-resistant radiolucent polycarbonate. This means that x-rays can be taken during the casting process without disturbing the patient or disrupting the casting process resulting in greater patient comfort and increased assurance of alignment accuracy. When these results are combined with less time on the table, and an associated decrease in cost, it’s no wonder that the Pediatric Spica Table has been so well received by casting technicians and Doctors around the world. 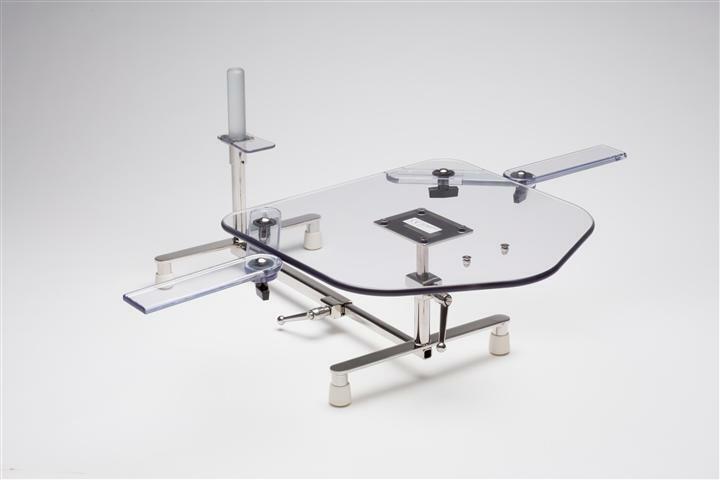 Industrial Engineering Machine LLC is now accepting orders for the latest version of their Pediatric Spica Table. Pediatric Spica Table is a division of Industrial Engineering Machine, LLC, a research and development manufacturing company located in Monterey, California, USA. We specialize in the development of unique, customized products for professionals seeking design applications not readily available to the general marketplace. 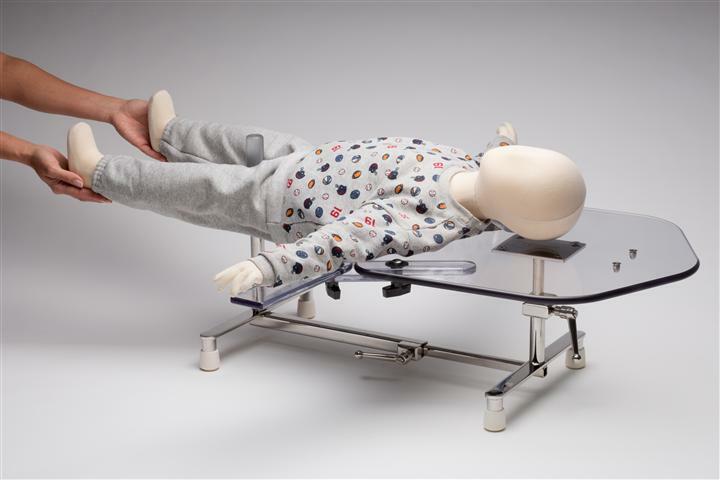 Pediatric Spica Table in x-ray position Pediatric Spica Table shown with Optional Arm Supports. Pediatric Spica Table in use with the Partial Spine Support Pediatric Spica Table with storage cover Table Top rotation and overall table length are easily adjusted. The Perineal Post is easily removed.